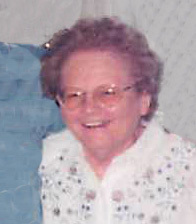 Hazel B. VanHoose, 91, of Bellefontaine, OH peacefully passed away Sunday, December 2, 2018 in Heartland of Bellefontaine. She was born July 10, 1927 in Springfield the daughter of Walter and Pearl (Bowman) Lehman. Hazel assisted her husband, Hiram in the operation of several family businesses including Van’s Laundromat. She was a member of Pilgrim Fellowship Church in Bellefontaine. Hazel is survived by two daughters Marsha Ann Kilgore of Springfield and Pamela Kay (John) Stemble of Lewistown, OH; four grandchildren Cheryl Deane, Mark (Marcie) Kilgore, Charity Pelfrey and Christa (Tim) Adkins; ten great grandchildren Jeff, Loren, Elizabeth, Brooke, Rachel, Joshy, Ashley, Timmy, Isaac and Leah; several nieces and nephews; special brother-in-law Raymond Vanhoose. She was preceded in death by her husband Hiram VanHoose in 2001. Visitation will be Friday from 12 Noon – 1 PM. in RICHARDS, RAFF & DUNBAR MEMORIAL HOME. The service to honor Hazel’s life will be Friday at 1:00 PM. in the Memorial Home with Dr. Elton Moose officiating. Burial to follow in Oak Dale Cemetery, Urbana. Expressions of sympathy may be made at www.richardsraffanddunbar.com.